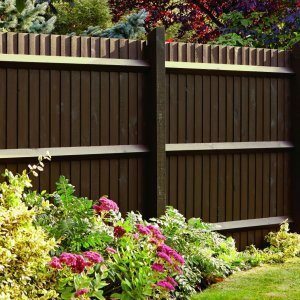 “I was very fortunate to be picked by Ronseal to do some testing on its Fence Life Plus paint, so I selected the Dark Oak paint shade. 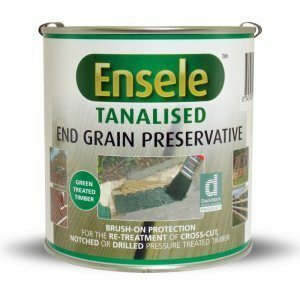 I had a lot of fence boards, a shed, a dog run with another built on shed and two sun loungers to get round, so Ronseal very kindly sent me two five litre tubs! In Northern Ireland it’s pretty wet so I’ve been painting in between the showers, I’ve not gotten round all of it yet, but I’m well on the way and so far, I’m impressed! 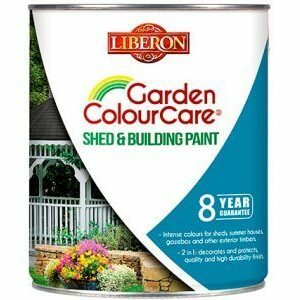 The paint offers five years protection, so come back to me in another five years and I’ll be able to tell you how it faired. The colour is pretty true to what I was hoping for. I’ve tried different types of Ronseal in Dark Oak before, and the colour is an exact match. I gave the paint a quick stir up before I set off and although you can apply this particular paint by spraying, a brush was all I had to hand at present. It is a little runny, but I find a lot of fence paints can be, so I’d recommend the ground is well covered around the area. There was a bit of splashing and the paint is obviously strong, because I’m struggling to get some splodges out of the concrete below the fence. The paint took to the fence very well and I found I didn’t need a large amount on my brush. It spread easily and soaked in to the wood well. I also found I didn’t need to apply a lot of layers. One layer of paint on the photos shown and the results are good. The paint took well to both the rough and smooth areas, I was also impressed that although it rained around 3 hours after I painted and continued to rain throughout the night, the paint didn’t run. The all-weather protection really does work! It also promises UV protection, however, sunny spells here are few and far between, so I can’t comment on that aspect at the minute! 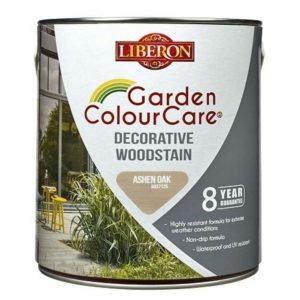 Some paints are really strong smelling and the fumes aren’t always nice, fortunately, there is very little odour with this paint.